Mary Buckham told me in a class once that my writing was reminiscent of Sue Monk Kidd’s. 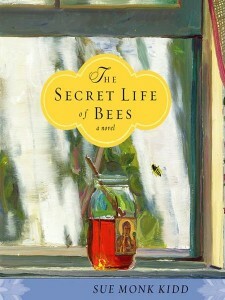 I said, if I could write a book like The Secret Life of Bees I’d be in heaven. I haven’t read this book in years but its flavour remains. That’s what a great book should do: remain with you in essence, even if you don’t remember the details or even the whole story. It is the characters who live on–like old friends whose secrets and love comingle with yours until you don’t know where yours end and theirs begin.